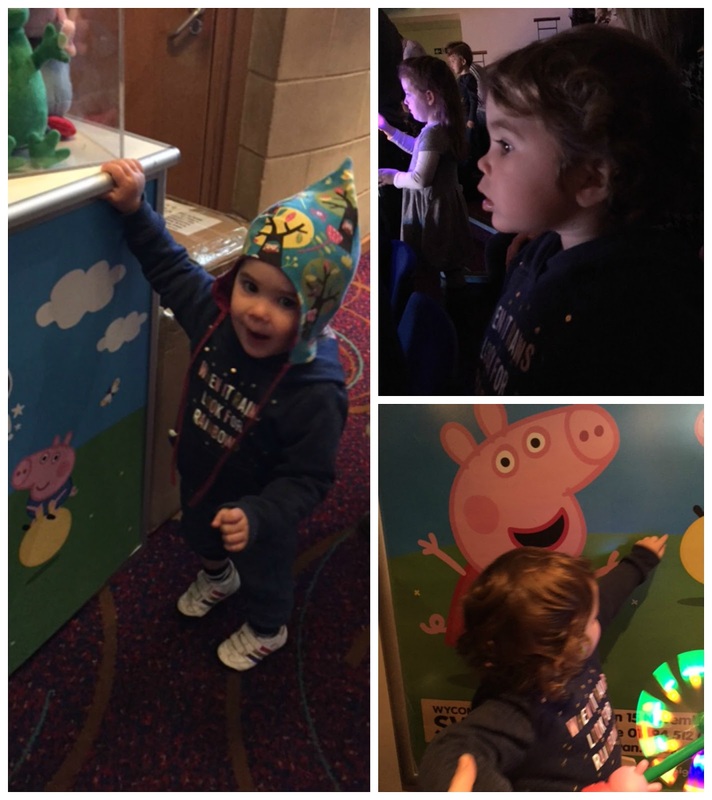 Last Weekend Molly-May and myself had a very special Mummy/Daughter outing to see Peppa Pig’s Surprise Show in our local Theatre in High Wycombe! With her 22 month she currently is in love with Peppa Pig and loves to watch a few episodes after her lunchtime nap whilst cuddling up with me on the couch or have a little dance around in front of the TV when Peppa comes on so i knew she would love our surprise outing for her to share the fun we also took along her lovely Childminder and her own little one who with her 3 years is loving Peppa Pig just equally as much as Molly-May. Enjoy fun, loads of songs and of course, surprises in this charming, colourful new show. 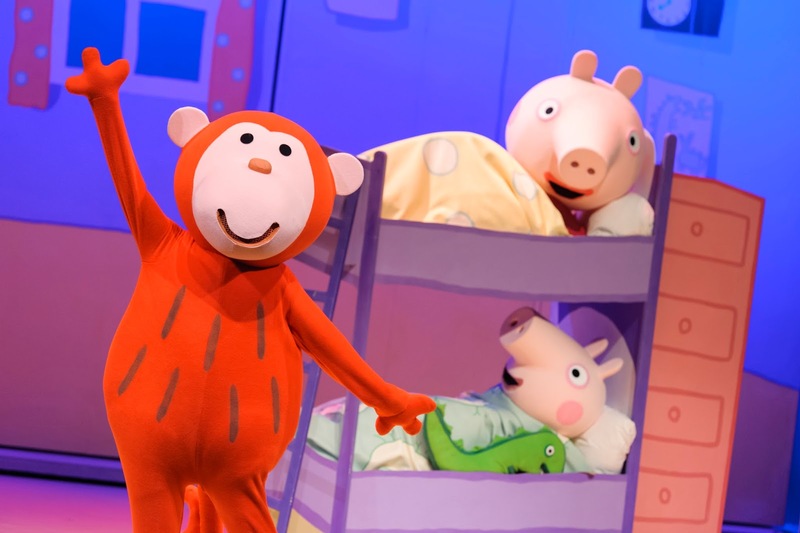 Peppa Pig’s Surprise is much certainly the perfect theatre show for all pre-schoolers! The Show has lots of cute little touches like Daisy who is the human friend of Peppa and there is even a little red monkey making a appearance just before bedtime! The Story runs over 2 days and the interval is cleverly made just after Bedtime for Peppa and George. Overall the length of 1.5hrs (including the interval) its just the right amount of time for the little ones but even though Molly-May did get tired towards the end (because it came close to her nap time) she did not stop jumping up and down as soon as Peppa and her friends started with another song. 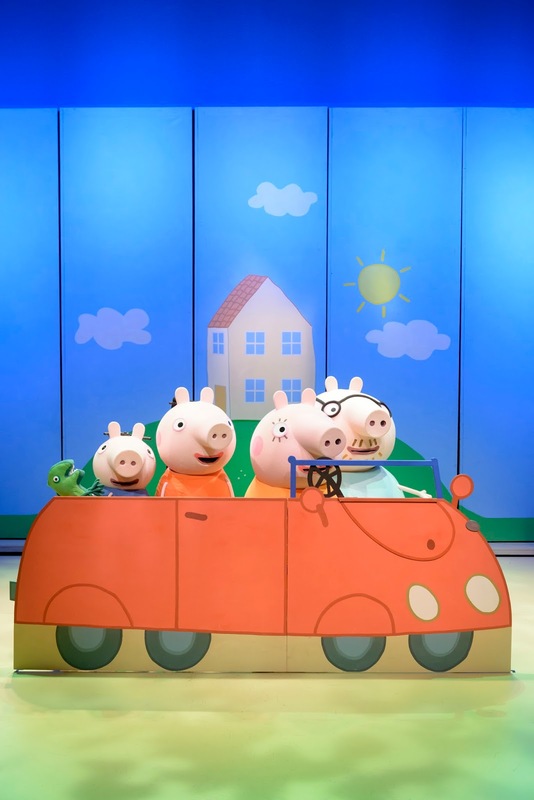 Peppa Pig and her friends (all except Mummy & Daddy Pig) are all life sized puppets with a actor behind them dressed all in black moving them around and talking/singing along. It was a little bit strange at first but for some scenes the actors went on their knees and after a while you kind of forgotten there where actually there. 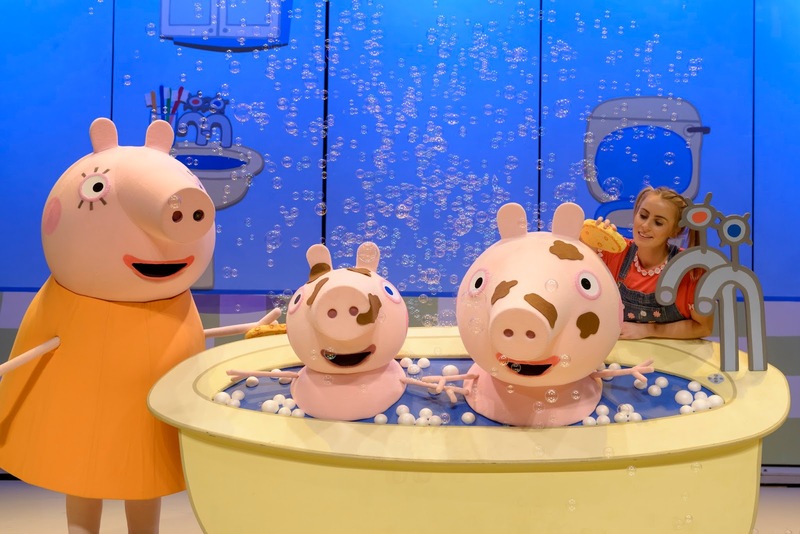 If you want to take your little one to see Peppa Pig Surprise head over to the website where you can find all the remaining Tour Dates of the Show which runs this year and all the way through 2016. Disclaimer: We have been give a family ticket to attend the show and review it, but all thoughts and opinions are mine.